Moving up from being just another marketing channel, social media has become a primary conduit for any kind of business to connect with customers and partners. Touchpoints can vary widely. It could be matching social perception trends to specific records or audience groupings in your customer relationship management (CRM) repository; or, you could record a customer’s @mention in your helpdesk system when she complains about your product over Twitter. 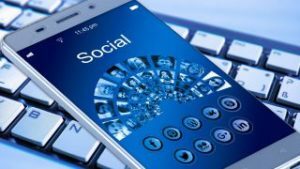 It’s not hard to see how small to midsize businesses (SMBs) and enterprise organizations could sink a lot of precious time and money into a social media program and come up empty-handed. Empty-handed, that is, except for all of the business-critical data they have and don’t know how to analyze, and thus, monetize. Let’s say you’re in marketing. You’re possibly tasked with being the entire department. You’re a power user but not a social media expert. With all of the hype surrounding social media marketing, it’s still important to take the time to educate yourself on the basics. Find out what data will be useful and then find a tool that delivers it. Don’t try to tailor your company’s social media program to a particular toolbox without a plan. Social media management tools centralize your social efforts and publishing in a single console or dashboard. These platforms let you add rich multimedia to posts, tailor messages to different networks and audiences, and toggle social channels on and off. These platforms take much of the manual effort out of managing different social profiles on Facebook, Instagram, LinkedIn, Pinterest, Twitter, and more. Combined with the analytics you’re gathering on engagement, followers, posts, and a host of other metrics, these platforms help you get a handle on your social media efforts. They also help you feed all of the data you’re gathering back into your online marketing, customer strategy, and other areas of your business. To one degree or another, social media touches just about everything. It’s worth noting here that even armed with all the sophisticated technology offered in this roundup, there is no substitute for organic and genuinely interesting content on your company’s social media channels. You can have the most technically sound social media strategy, but it’s still up to you to create something your audience will want to follow and engage with. The best of these tools automate a lot of the hard work that your customers will never see (after all, the best social media appears effortless). It’s just important to temper your expectations on what these platforms actually do before investing in any of them. Ultimately, you’ll have to consider your brand’s personality and tone for yourself. Of the products covered in this review roundup, Crimson Hexagon, Synthesio, Sysomos, and Talkwalker stand out as frontrunners in enterprise-scale listening capabilities for global brands, including providing detailed sentiment analysis and data visualizations. Of course, you need to know who is talking about you as well. These are the influencers who you will want to identify for customer engagement, the ones who will be key in propagating and spreading the good word about your business. We like Synthesio, Sysomos, and Talkwalker when it comes to flushing out influencers and their data—as long as your business is prepared to pay the enterprise premium for it. On the SMB end of the scale, Sprout Social and Zoho Social hold their own at a much more affordable price point, joining Buffer for Business and Hootsuite as great combined social publishing, management, listening, and analytics platforms, with more affordable pricing tiers. Team tracking, collaboration, and oversight are also crucial elements in running a well-oiled social marketing team as a business grows. All of the tools reviewed support team activity such as response assignment and team member tracking, depending on the tier. But the marketing team features in Sysomos Expion, enhanced team collaboration in Sprout Social, and the well-integrated Discuss tab of Zoho Social stand out in particular, along with a nifty new Slack integration in Brand24. All of the products reviewed have geographic location, demographic, gender, and age stats as well, although the higher-end enterprise social analytics platforms (such as Synthesio and Sysomos) go beyond those basic demographics with deeper community analysis and return-on-investment (ROI) metrics. A tool’s analytics capability is the overarching factor that will determine its usefulness because it takes all of the types of information mentioned earlier, turns them into data, and then displays them visually in compelling formats. A tool can gather all sorts of data but how the analytics piece of the tool disseminates the intelligence—and delivers the insights—is key to whether or not it can be used to accomplish planned business objectives. These objectives can include driving marketing campaigns, forecasting possible brand crises, and revealing new markets.